As a Vancouver family dentist, Dr. Nelson makes it a priority to help educate patients on how their oral health can impact the overall health of their bodies. While you might think that your oral health only relates to your teeth and gums, a significant amount of research has found compelling connections between common oral problems such as dental disease and decay with a host of chronic health problems that include heart disease, stroke, diabetes, dementia and cancer. Even though researchers still don’t fully understand what connects oral diseases with such serious health problems, they suspect the primary culprit being oral bacteria that moves throughout the body. One recent study found further evidence strengthening this potential connection. The presence of oral bacteria in cystic pancreatic tumors is associated to the severity of the tumor, according to researchers. Researchers hope that by identifying this type of bacteria as a potential risk factor they can provide quicker, more aggressive treatment to pancreatic cancer patients in risk of developing an aggressive tumor. The results of the study were published in the journal Gut. Pancreatic cancer has one of the highest mortality rates of any cancer. The primary reason why pancreatic cancer has such a high rate is due to how late in the disease’s progression that a diagnosis is usually made. Additionally, not every type of cystic pancreatic tumor is cancerous. This makes it even harder to quickly identify which type of tumor requires immediate treatment and which are benign. In order to fully rule out any chance of cancer, many patients elect to undergo surgery, which places an unnecessary strain on their bodies if the tumor proves benign. Now, researchers have discovered that the presence of bacteria inside the cystic tumor is connected to the severity of the tumor. As part of their study, researchers examined the presence of bacterial DNA in fluid collected from pancreatic cysts in over 100 patients and compared the severity and type of the tumors. After conducting this comparison, researchers discovered that the fluid from the cysts with high-grade dysplasia and cancer contained much more bacterial DNA when compared to fluid from benign cysts. As a way of identifying the bacteria, researchers sequenced the DNA of 35 samples that were tested with having high amount of bacterial DNA. The team discovered significant variations in the bacterial composition between different individuals, but also an increased presence of a specific bacterial composition in tissue and fluid in cysts with high-grade dysplasia and cancer. While researchers were surprised to find oral bacteria in the pancreas, they team wasn’t totally caught unaware. The bacteria they identified has already been shown in an earlier study to be found in higher amounts in the saliva of patients with pancreatic cancer. As researchers continue to find new and unexpected connections that link our oral health to our bodies, it’s become clear that protecting our health requires making a serious commitment to maintain and improving our oral health. Daily habits like brushing and flossing can help to remove harmful oral bacteria before it has the opportunity buildup, spreading throughout the body and causing the types of dental disease and decay that threaten our long-term health. 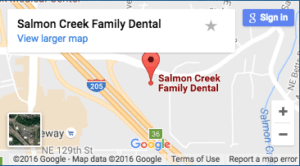 Regular visits to see a Vancouver family dentist like Dr. Nelson can greatly improve your ability to reduce the risk for developing oral or overall health problems. Don’t neglect your oral health. Make it a point to receive the outstanding dental care you need to enjoy a healthy body and smile for a lifetime.